Arizona State University chemical engineer César Torres is the winner of the Society of Hispanic Professional Engineers (SHPE) 2012 Young Investigator Award. The honor recognizes his contributions to bioenergy research. Torres is an assistant professor at the School for Engineering of Matter, Transport and Energy, one of ASU’s Ira A. Fulton Schools of Engineering. His research is conducted in the Swette Center for Environmental Biotechnology at ASU’s Biodesign Institute. “We look at microorganisms to find ways to convert either biomass or solar energy into electricity or fuels,” Torres explains. Torres works closely with Swette Center director Bruce Rittmann, an ASU Regents’ Professor on the faculty of the School of Sustainable Engineering and the Built Environment. Rittmann nominated him for the SHPE award. Torres’ research is funded by the Department of Defense, the National Science Foundation and the Office of Naval Research, and he’s working with a number of industrial partners. He and Rittmann are embarking on a new project with ASU electrical engineering professor Konstantinos Tsakalis. Funded by the defense department, they will explore a new form of water treatment for the military’s “forward operating bases” — military bases that are operational only for short periods of time. “They need something small that doesn’t require experts on hand,” Torres explains. 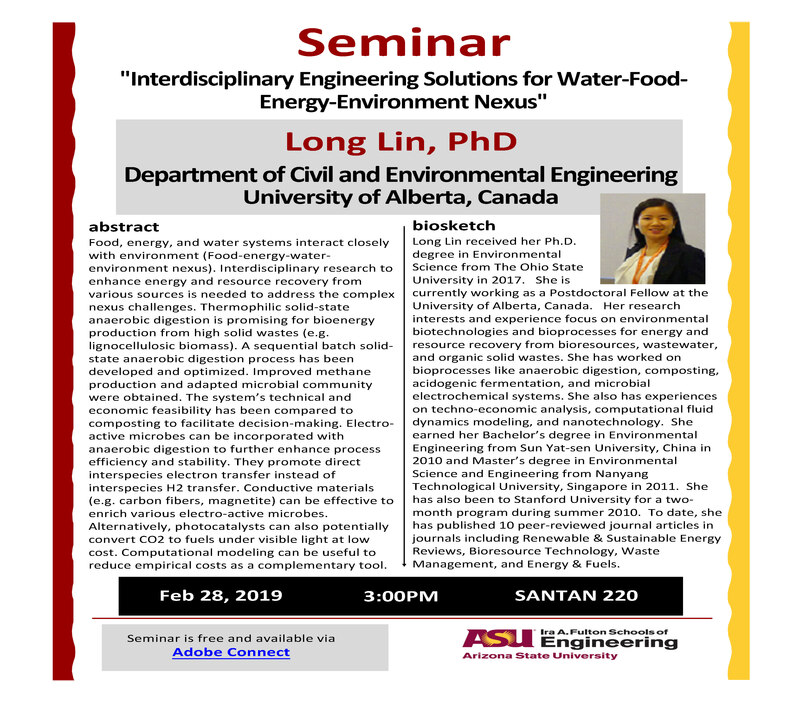 “Another problem is the need for consuming less energy and less water.” The three ASU engineers will work to develop a simple automated and efficient system to treat wastewater and collect energy using anode-respiring bacteria. “Our technology with the bacteria would perform wastewater treatment while at the same time producing energy and hydrogen peroxide, a valuable water disinfectant,” he says. Torres also recently began work with the Integrative Graduate Education and Research Traineeship: Solar Utilization Network, a program supported by the National Science Foundation that will train doctoral students in the solar energy field. Torres will receive his award during the annual SHPE National Conference Nov. 14–18 in Fort Worth, Texas. 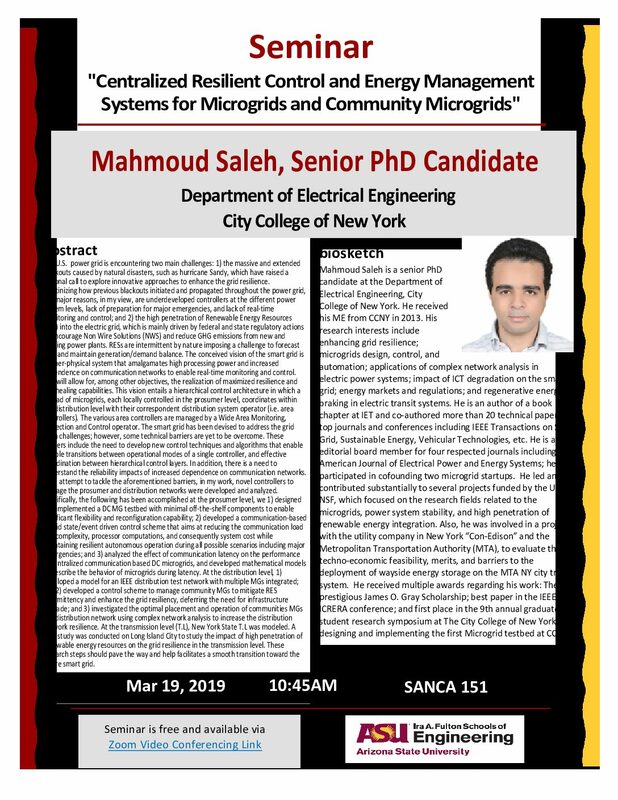 He will also give a presentation at the conference about his research. SHPE was established in 1974 to encourage Hispanic students to pursue careers in engineering and science. It now has a growing number of members in industry and academia across the United States and internationally. SHPE student chapters have been established throughout the country. Torres says he’s honored to be recognized by an organization that shares his goal of providing role models to students in a group that is underrepresented in engineering and science fields. Read more about Torres and his research.